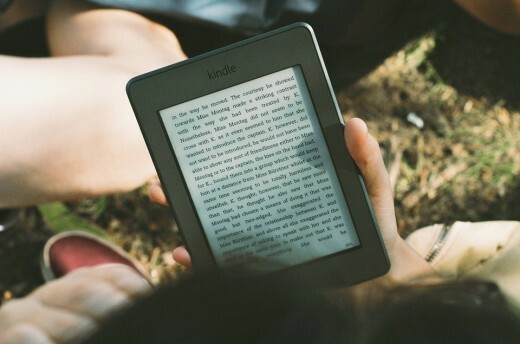 Even with the rising popularity of eReaders such as the Amazon Kindle and mobile eReading apps, many readers still prefer physical print books to digital eBooks. 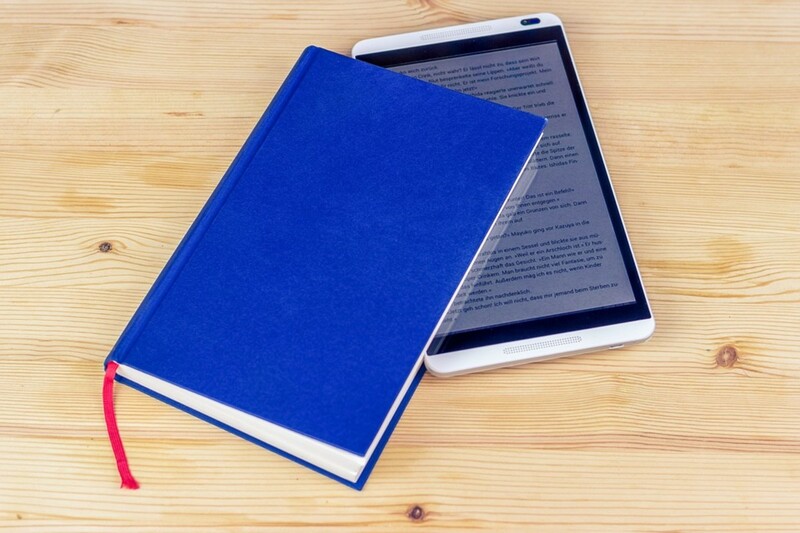 Though many people prefer the tactile feel of traditional printed media, eBooks do have some distinct benefits and offer versatility that print books cannot. While print books aren’t going away anytime soon, there are many situations in which eBooks provide an advantage over traditional print books. With eBooks, you don’t even need to leave your house to buy new books or borrow them from your local library. You can purchase books directly from a digital bookstore and download them instantly to your device. Even libraries now offer digital eBook lending, so you can instantly download library books for free to your eReader without ever having to visit the library. You can acquire an entire library of new books on your eReader while still wearing your pajamas or sitting on your couch. 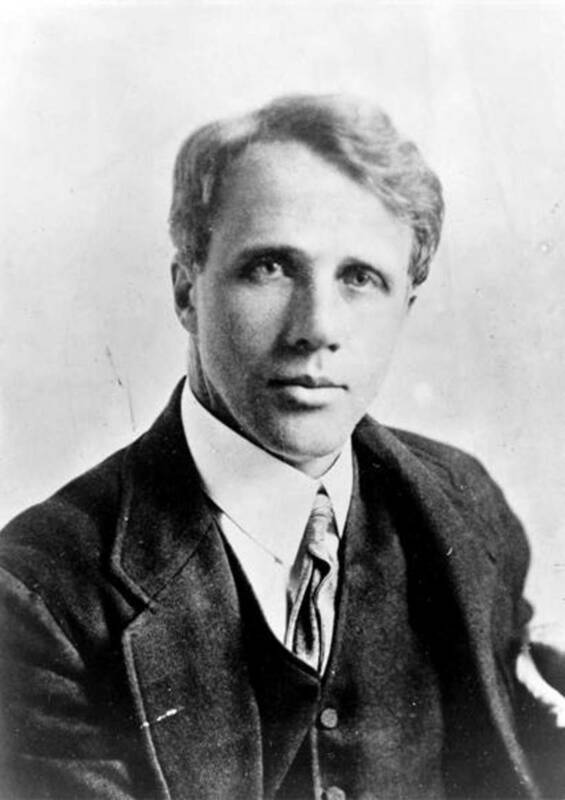 Print books, especially hardbound editions, can be very heavy, while most modern eReader devices are designed to be lightweight. It is much easier to carry an eReader containing an entire library of books on an airplane or on the train than to bring a physical book or two. If you finish the book you are reading while traveling, it is much easier to obtain a new eBook than to find somewhere to purchase new books. If you have your digital eBook collection synced to a cloud service, you can seamlessly switch to reading your eBooks on your phone if you find yourself with extra time to kill but didn’t think to bring your eReader. If you borrow a physical book from the library and forget to return it, you will be charged a late fee. Many libraries also now offer eBook loans in addition to their print book offerings. If you checkout a digital library book and forget to return it by its due date, it’s license will simply expire on your device. You will never be hit with a surprise late fee for digital loans. 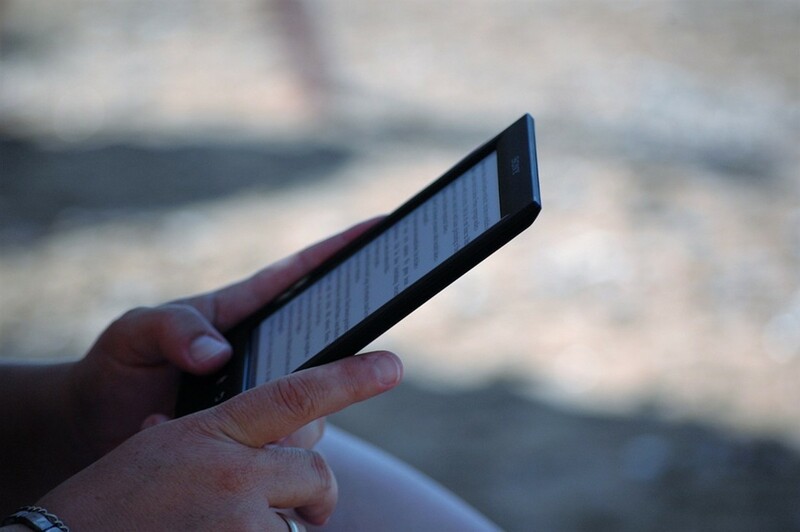 eReaders make accessing library materials easier than ever. It can be frustrating to come across a word that you don’t know while reading a print book. You either have to find a physical dictionary or pull up your phone or tablet to look up the word. Most of the time, you probably don’t bother, and are just left wondering what the word means. Most modern eReaders have built-in dictionaries that allow you to look up words by taping on the word you don’t know. The dictionary definition will appear right on the screen without you even needing to leave the app. Avid readers tend to collect a lot of books, which can take up too much space and make your home feel cluttered. Even the largest collection of eBooks won’t take up much physical space in your home. 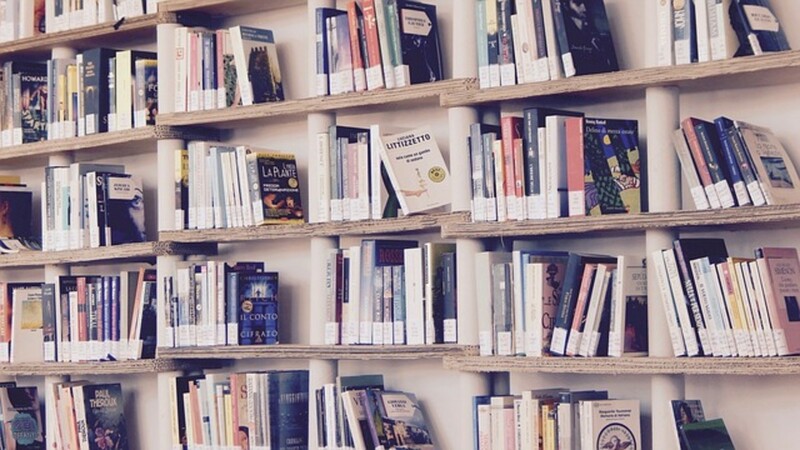 It is easier to manage a large digital collection of books than bookshelves filled with hundred or thousands of books that you will likely never reread. Unlike print books, eBooks allow you to change the font size or even the font style. If you require large-print books, you can adjust the font size in any eBook to be readable to you. With print books, you are limited to titles that are available in large print editions. You can also usually customize the font used in eBooks if you don’t care for the default font. There are many independent, self-published authors who only have their work available in digital formats. 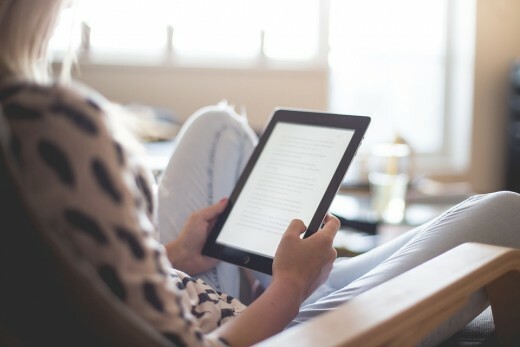 Many of these titles include novellas and short stories that would be too short to publish on their own as print books, but which are perfectly suited to reading digitally on eReaders. Owning an eReading device gives you access to many books that you otherwise wouldn’t be able to read. It may seem strange to think than an electronic device could have less of an impact on the environment than traditional books, but eReaders take fewer resources to create than a modest number of books. Manufacturing one Kindle produces as much CO2 as producing 30 print books. Most avid readers will offset this figure in less than a year by switching to eBooks. While paper can be recycled, the paper recycling process itself can cause excess environmental pollution because of the sludge that is produced during the de-inking process. 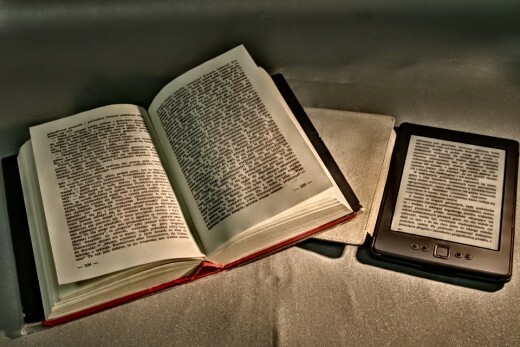 Because eReaders are backlit, you don’t need to have an external light source to read eBooks. You can read eBooks in the dark or in low-light situations anywhere. As long as your eReader is charged, you can read in bed, during power outages, or outside in the evening without needing an external book light. This allows you to read eBooks in many more situations than you can traditional print books. eBooks are typically released at the same time as their print counterparts but are often cheaper to purchase. If you prefer to purchase books, rather than borrowing from a library or from a friend, you can save some money by sticking to digital releases. This may not be true for older titles that are generally available at steep discounts from used bookstores. 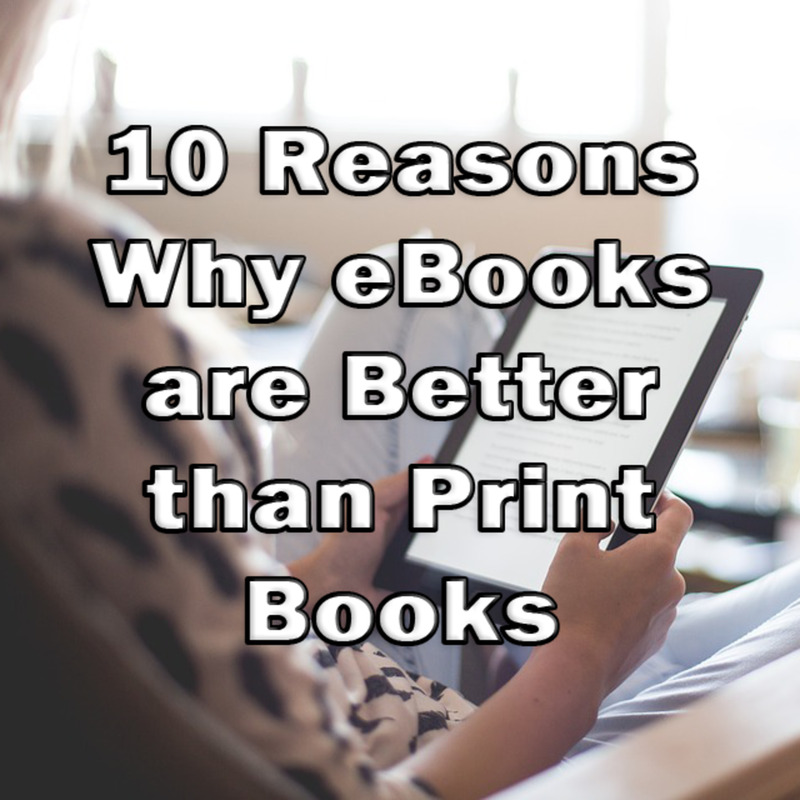 There are many reasons why readers who have always stuck to traditional print books may want to give eBooks a try. eBooks provide more versatility than print books and have many advantages that make the reading experience easier and more enjoyable. Though many older people look down on the newer technology of eReaders, they offer many benefits over traditional print books. It doesn’t matter how you choose to read your books. 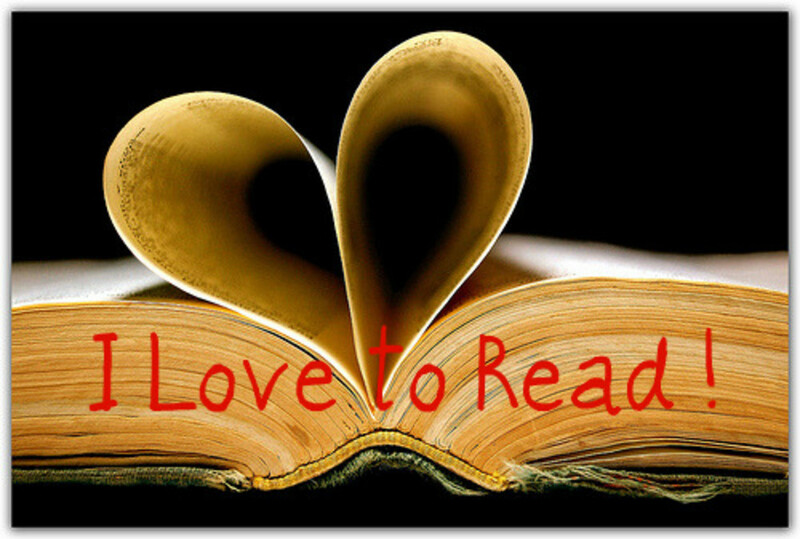 The important thing is that you keep reading! What if the device that you're using the eBook on goes dead? If your eReader's battery dies, simply charge the device. If it becomes completely non-functional, you can replace the device and simply re-download your digital content onto the new device. Michael Hart, who also founded Project Gutenberg, created the first eBook in 1971 while he was a student at the University of Illinois. He typed the entire text of the Declaration of Independence onto a computer and made it available for others to download via ARPAnet. Six people downloaded his eBook version of the Declaration of Independence. The first automated reader, which was the precursor to the modern eReader, was invented by a school teacher named Angela Ruiz Robles in 1949 after she noticed her students lugging heavy textbooks back and forth each day. She came up with the idea of an automated reader that would be easier for children to carry to school than multiple heavy textbooks. This invention featured a smaller amount of text on spools, which were operated by compressed air. 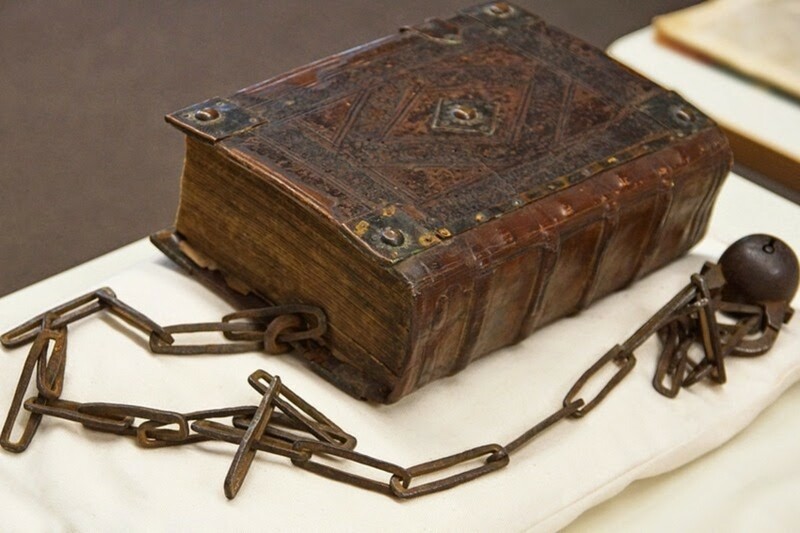 While this invention wasn't electronic, it is considered the precursor to the modern electronic book. 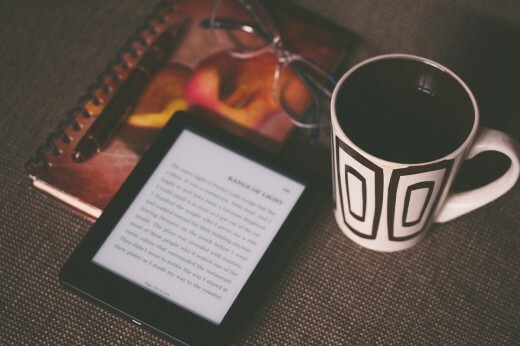 Do eBooks hurt your eyes if you read in the dark? Conventional wisdom says that reading in dim light can hurt your eyes, whether its a print book or a digital device. The good news is that there is little scientific evidence to support the claim that reading in low light is harmful. Our eyes are designed to work well in various light levels. You may experience eye strain or a headache as your eyes adjust to different light levels, but there is very little risk of long-term damage. Many electronic devices with screens, including eBooks, can cause eyestrain. This is because of glare on the screen, and the constantly changing light levels as the images on the screen change. The way most screens work, you are forced to look directly at a glare-causing light source, which can strain your eyes. 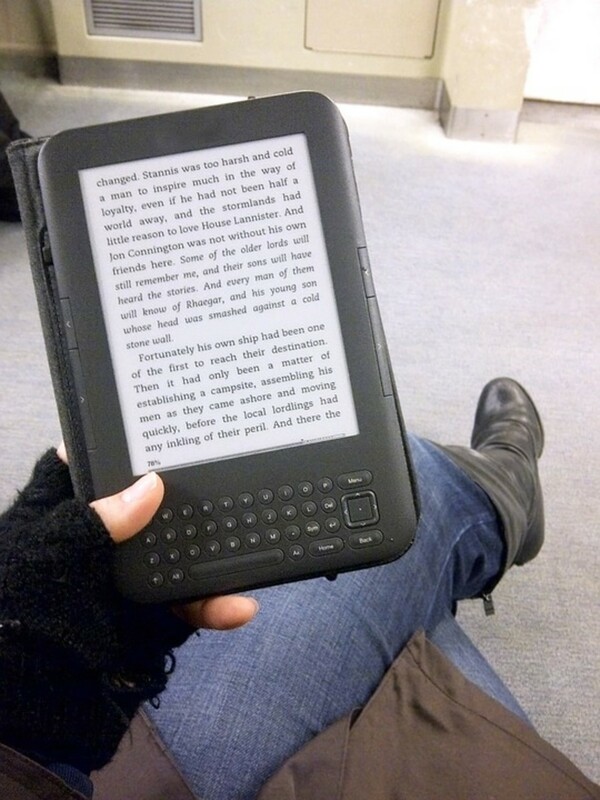 Some eReaders, such as Kindles, use a special technology called "e-ink" which reduces eye strain and glare. These screens are easier for your eyes to adjust to, and are less likely to cause headaches or eye strain. 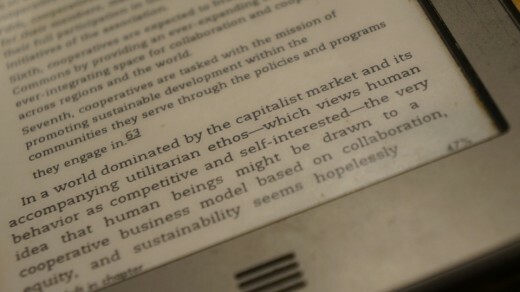 Reading on e-ink eReaders is the same as reading a regular print book. I use an Amazon Fire tablet, which uses the same kind of screen technology as other tablets (not the e-ink screens). I haven't noticed any ill effects from reading on my Fire for long periods. I find it to be more comfortable than reading print books, especially in low-light conditions, since I don't need to use an external light source (such as a lamp or book light). The cost of each individual eBook is set by the publisher or independent author. Some eBooks may be available for free, while others may cost the same as the print edition of the same book. Can you give some more points on whether eReaders are more portable than textbooks? Well, eBooks are definitely more portable than print textbooks, especially hardbound textbooks. 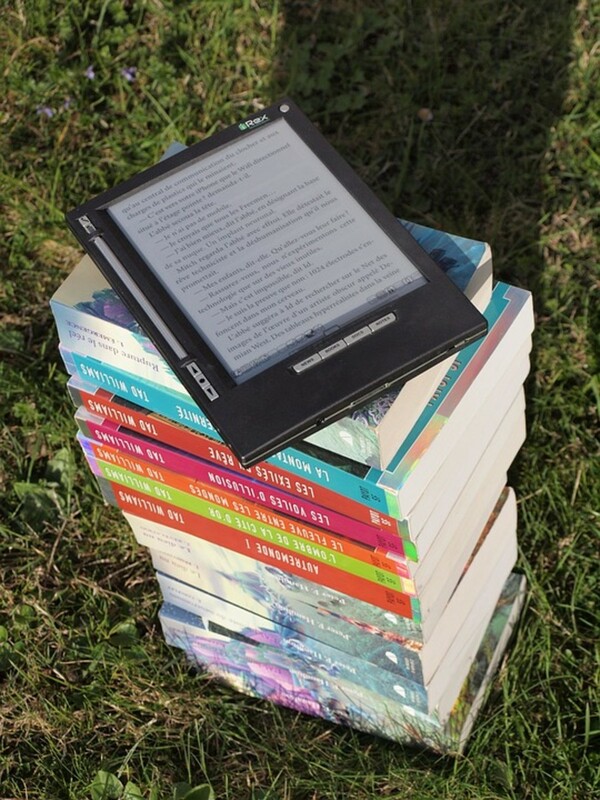 eReaders, such as Kindle are much lighter than even one textbook, so it is easier to carry home and back to class. You can fit many eBooks on one device, so if you could get all of your textbooks for the semester in the digital format, you wouldn't have to carry books back and forth to your classes. You would only have to carry the device. You don't even need a dedicated eReader device to use eBooks. Smart phones and tablets have eReader apps available. You can load all of your books to the phone that you already carry with you anyway. This allows you to keep your entire library in your pocket, so your textbooks will be available to you wherever you are. This would allow you to study anytime you have a few minutes free, such as waiting in line at a coffee shop. How much do e-readers cost? The price can vary considerably depending on what brand and model you choose. My Amazon Fire tablet was about $100 when I bought it, but there are cheaper and more expensive options out there, depending on what features you want. Most eReaders are not waterproof, but there are waterproof cases and pouches you can use with your eReader. Amazon’s newest version of their Kindle Paperwhite is waterproof, so you can take it to the beach or in a bath without needing a waterproof case. Does an eReader take a long time to charge? The charge time depends on what eReader you have and what charger you are using. They usually take a few hours to fully charge, similar to a smart phone. How expensive is an e-reader? Hi, different things mean many things o many different persons. Some like in either print or ebook.Some like both format. I will not recommend an ebook for teenagers because of dangers online. Thanks. Its easier to focus on the text than an original book. Zooming in on the text makes chapters easier for me. Novels like Watership Down in book form was extremely difficult to keep focus because of how small and tight the text was but I could never give it up/away to some library. I keep it just in case my kindle breaks one day. Also reading kindle books that dont show the cover saves you in public from embarrassment, if one reads out in parks or public transport. Reading Harry Potter in school got me a tad picked on but now I can read it and no one can give a damn cuz no oen can see it on my Kindle cover. Hey, Jeff, that's good for you at the moment. 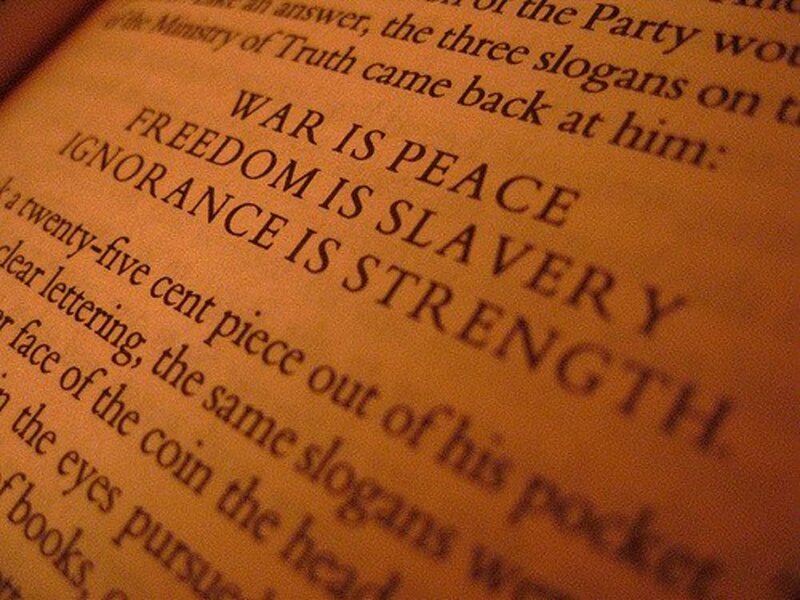 Read your print books regularly. There are cheap paperbacks always in the market. Then reading will become second nature to you. But as you grow off age, e-books can be supplementary. That's how far I can advise you. At your present age, reading online can dangerous and spell a disaster, unless you are properly guided by your parents. Thank you, and wishing you the best in your print reading culture. Have a nice time. Whether one like Ebook or print, both contain information for the development of the mind. Thank you. Hi, there, every person is welcomed onboard. Good day. Your really really cute. And thanks for the information. Thanks Jennifer for the info. This will really help me out for my debate project. #6 is so wrong; not all reading apps let you change the fonts and after a while, with the limited font options for those that do, all books start to look identical. However, I find myself striking a pretty even split between ebooks and printed books, because you're right–as long as you're reading! This is marcus's brother, the reset your password link isn't always available, when it is it's always so complicated just to reclaim some pettey little ebooks. when you can just go to the library or to a bookstore to get some REAL books. Then reset your password. Every website and online service has a "forgot your password" link. what if you forget the password? You should be able to recover purchased eBooks from where you purchased them by signing into your account. what if you reset your device and all of it is gone can you recover it ? I think the ebooks are much better than regular books and I think u can find even more reason! Hello Jennifer, then you agreed that ebooks can be on a similar or parallel level with the print in some cases? Thanks. If you lose the file because you delete it or because the device you have it downloaded to breaks, you can download it from your account again. Library eBooks can be downloaded from Overdrive or Amazon, and are linked to your library account. Purchased books are also linked to your Amazon or other eBook seller’s account. You can download them to devices linked to your account as often as you want. Hello Jennifer, you do know for sure that these digital ebooks are download on a hard disc. What do you say when the disc behave unusually and the laptop breaksdown? Apart fro this, when you bought an ebook, it can be unexpectedly detected. Could the publisher allow another download? Does not this make ebooks and prints on the same level? If you borrow a digital book and lost the file, you can just redownload it until your loan expires. You can also renew it again if there are no holds, just like with regular library books. I use the library for both print and eBooks, and the process is similar. Hi, Jennifer, thanks for the update. But as you realized, print books will never go out of print or circulation. In spite of the advantage of ebooks, the print format has certain advantages over the electronic format. For example, if you borrowed an ebook for 2 weeks from the library, what would happen if the invitible happen and it is not backed up? There are many others besides. Thank again.